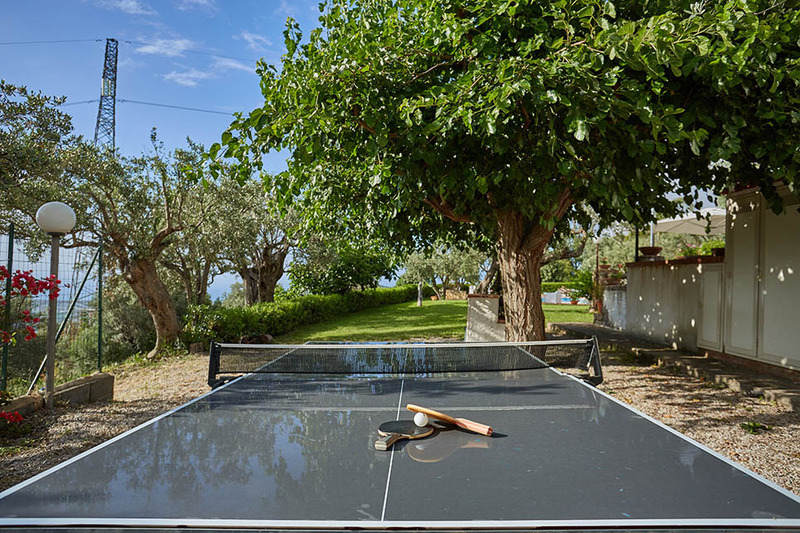 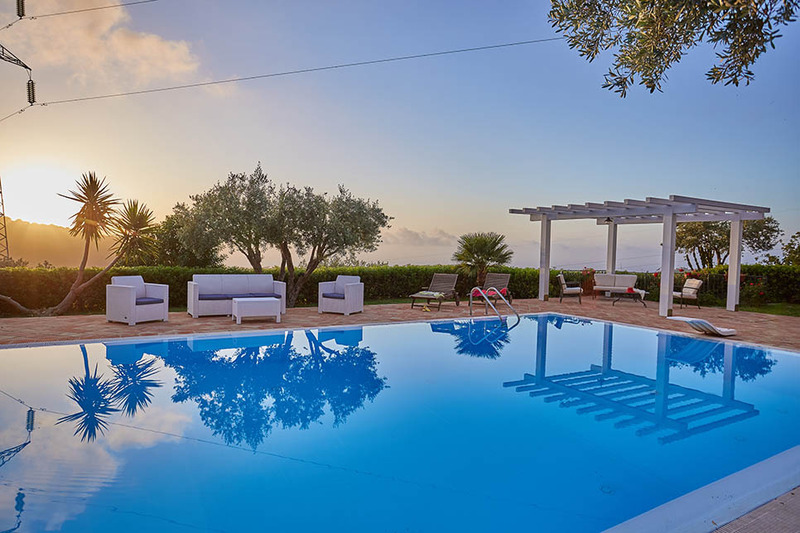 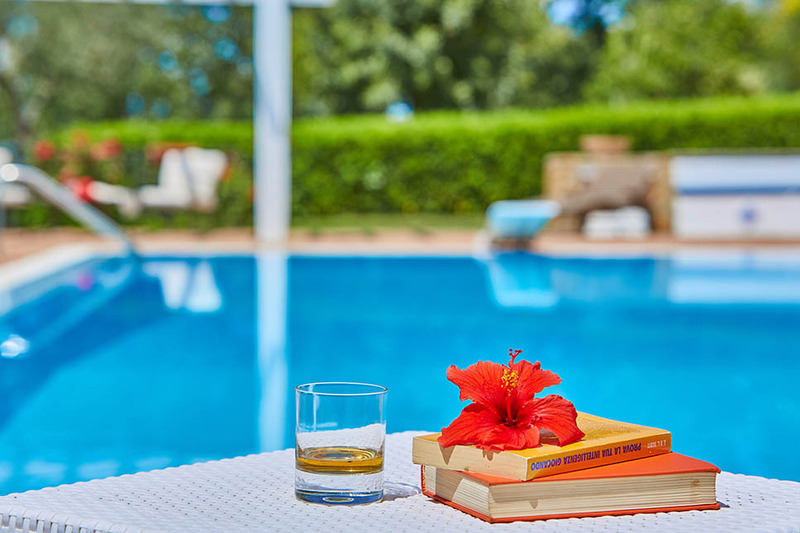 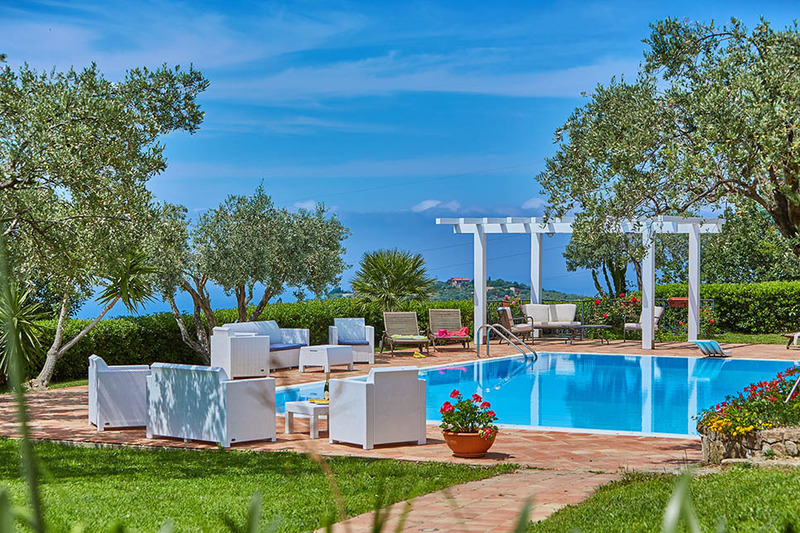 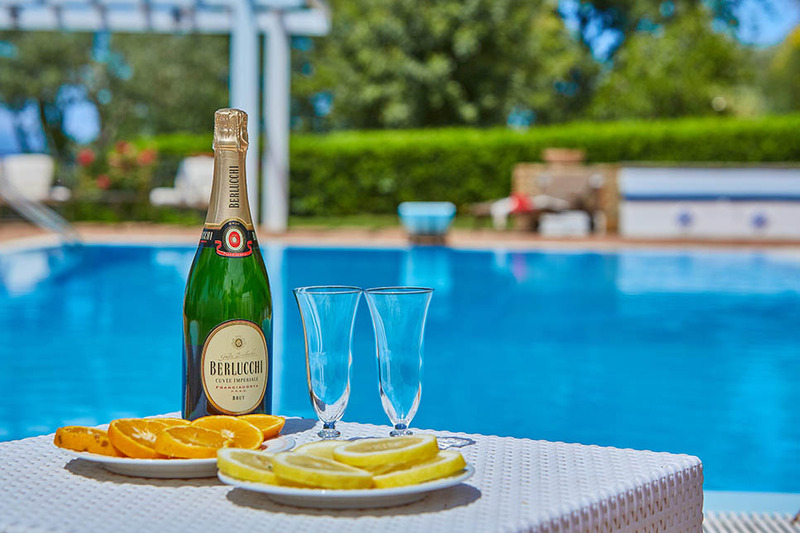 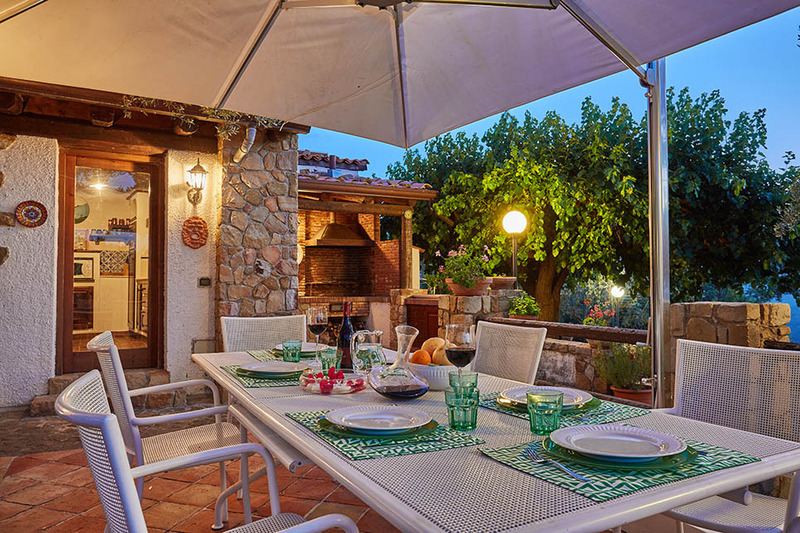 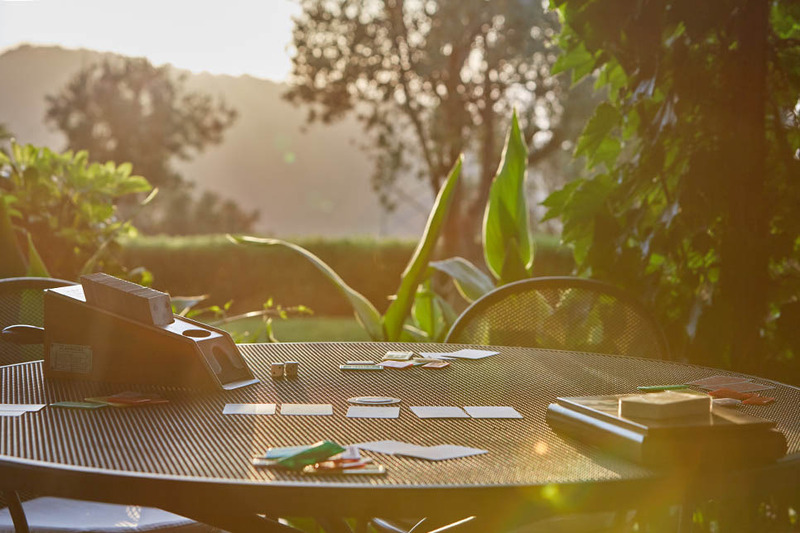 Situated between the coast and the dramatic scenery of the Nebrodi Mountains on the north coast, Casa del Gelso is a spacious family villa, furnished to a high quality and featuring an outstanding garden with pool and table tennis. 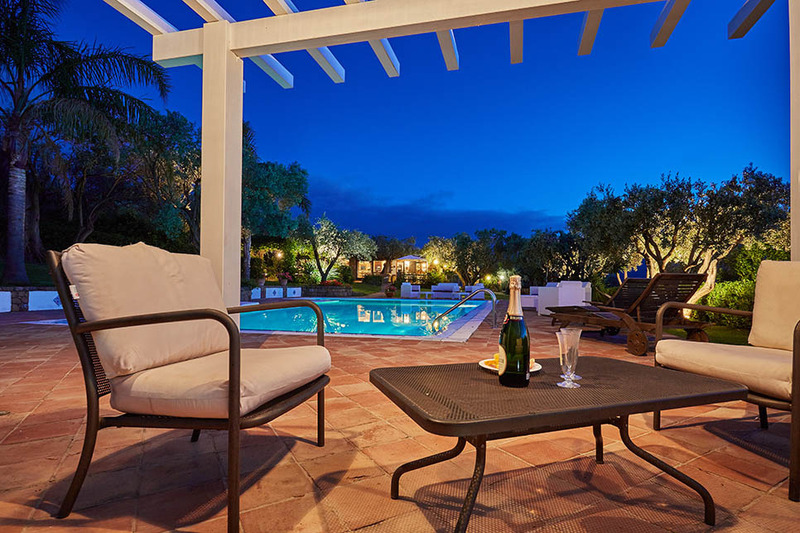 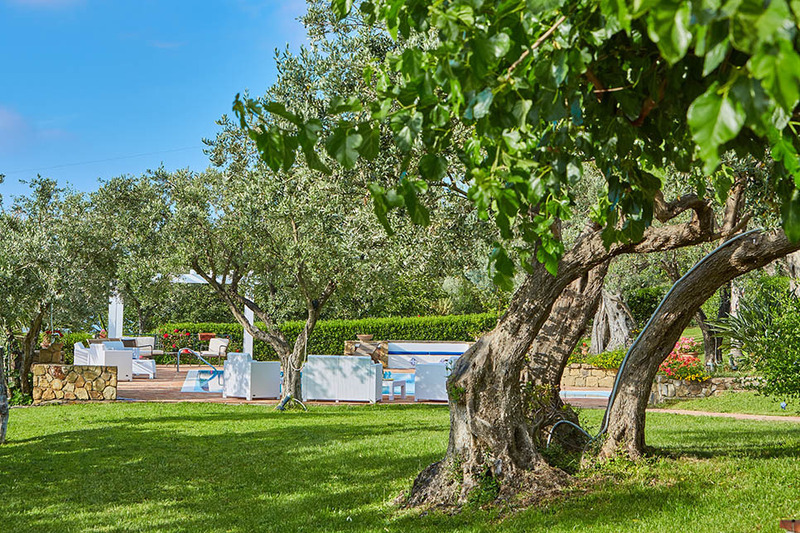 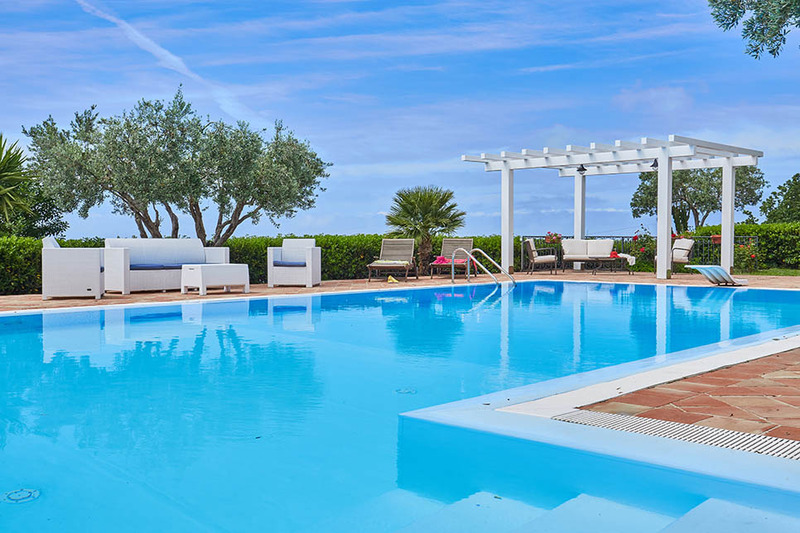 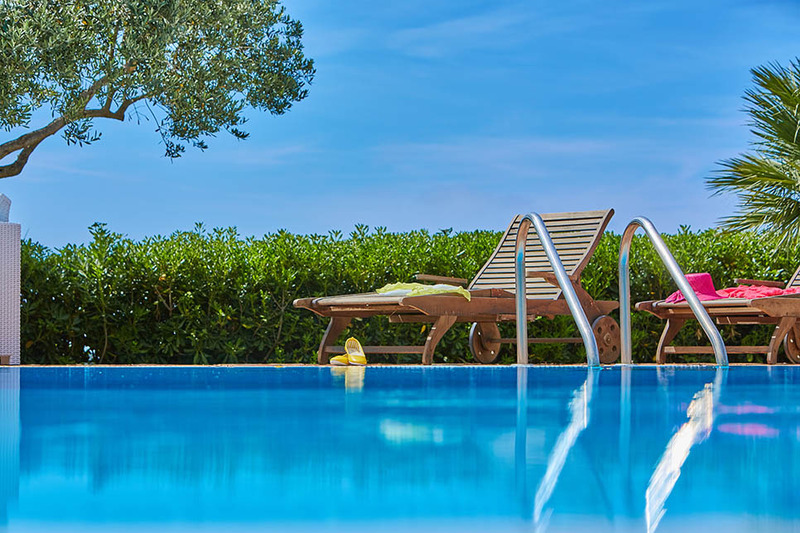 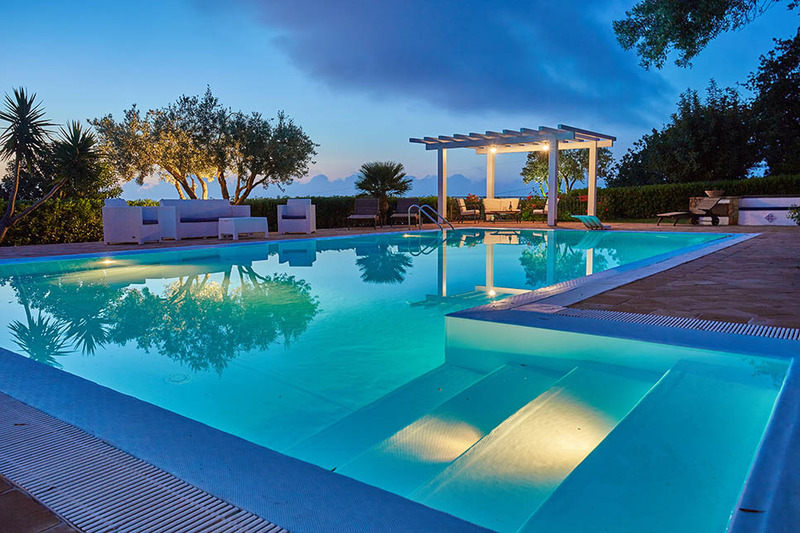 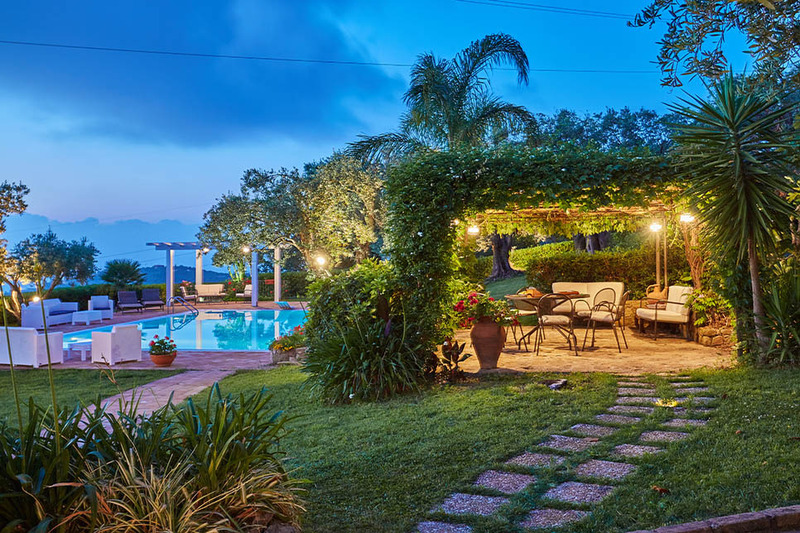 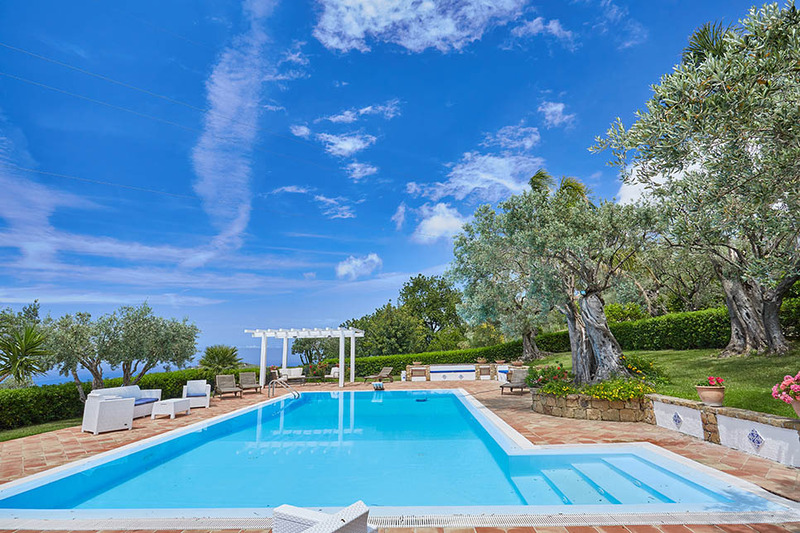 Outside, a path leads down through the garden, past a pergola furnished with tables, chairs and outdoor sofas, to a pool with easy-access steps, a diving board and views over the Tyrrhenian sea and the Aeolian islands. 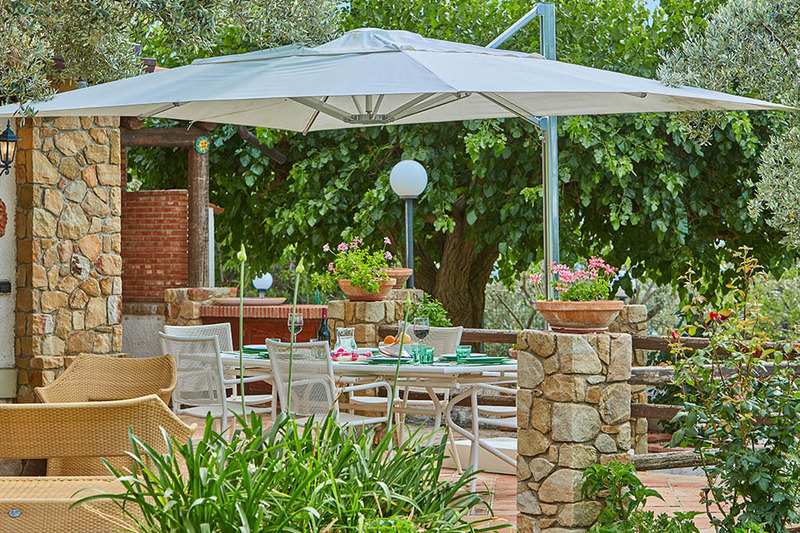 Olive and fig trees and spiky succulents dot the edge of the adjacent lawn and sunbathing terraces, providing shade. 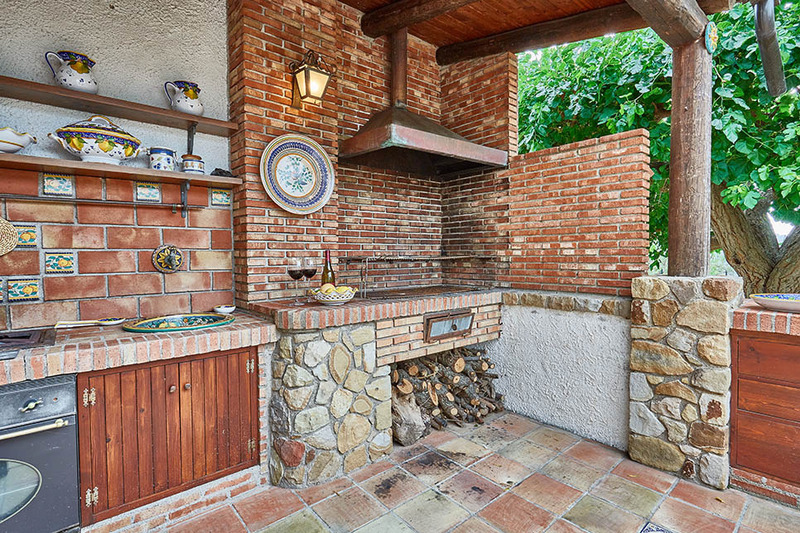 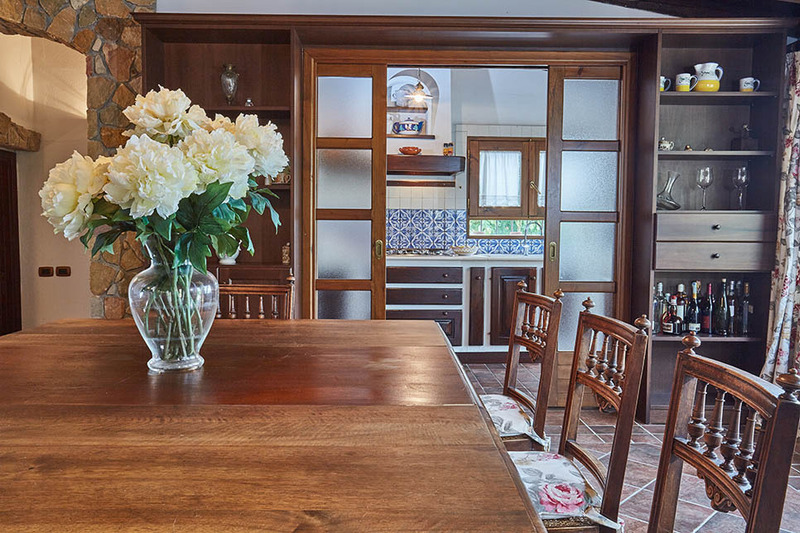 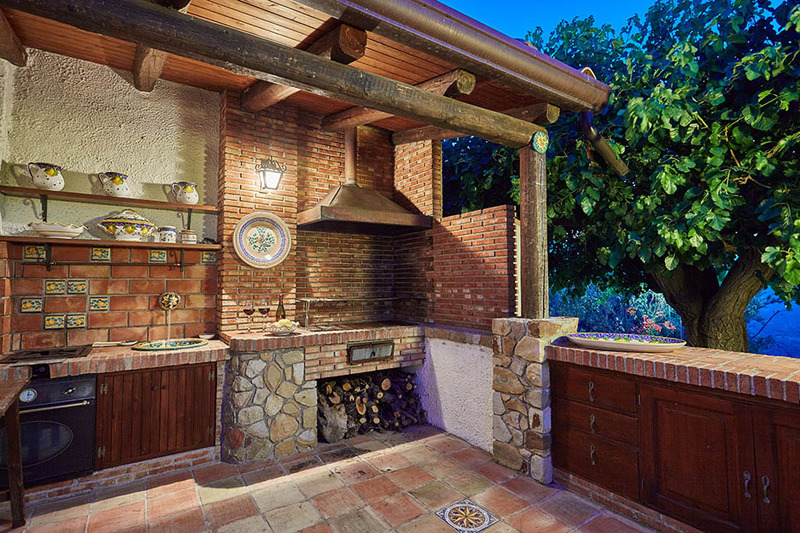 One of the highlights of the villa is the superb outdoor brick-built kitchen, with a barbecue area, sink, hob and cupboard space, located alongside the main terrace and outdoor dining area. 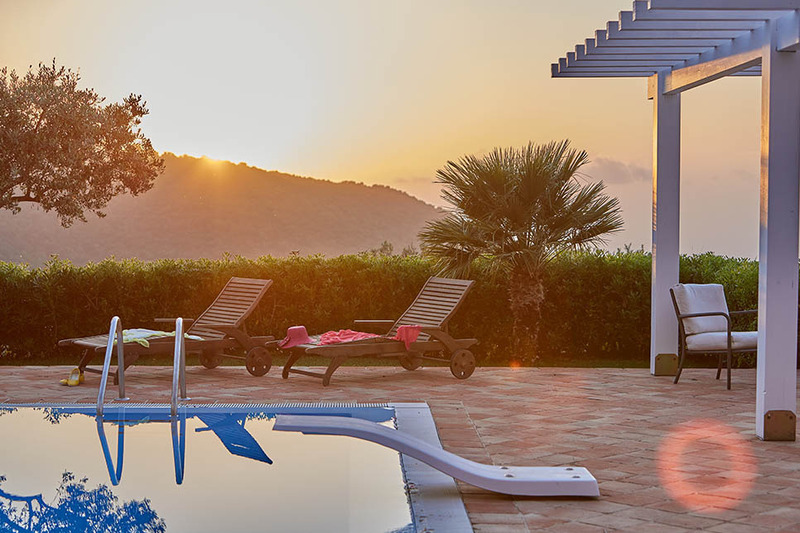 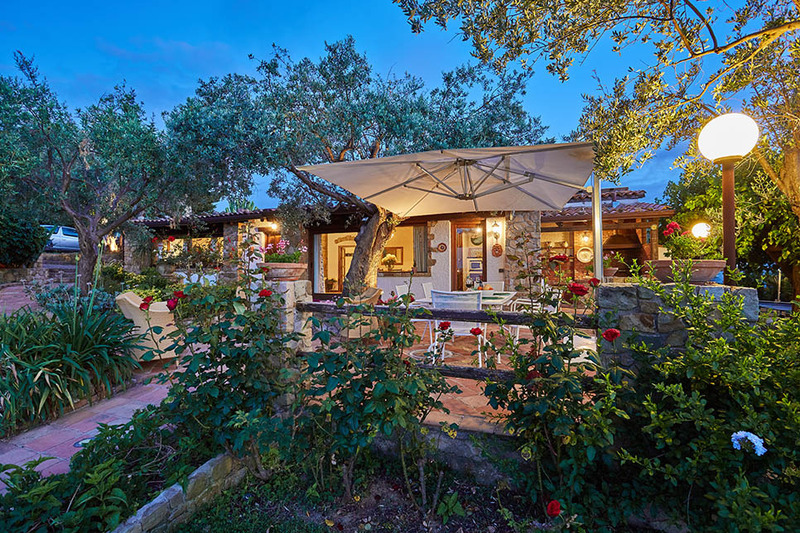 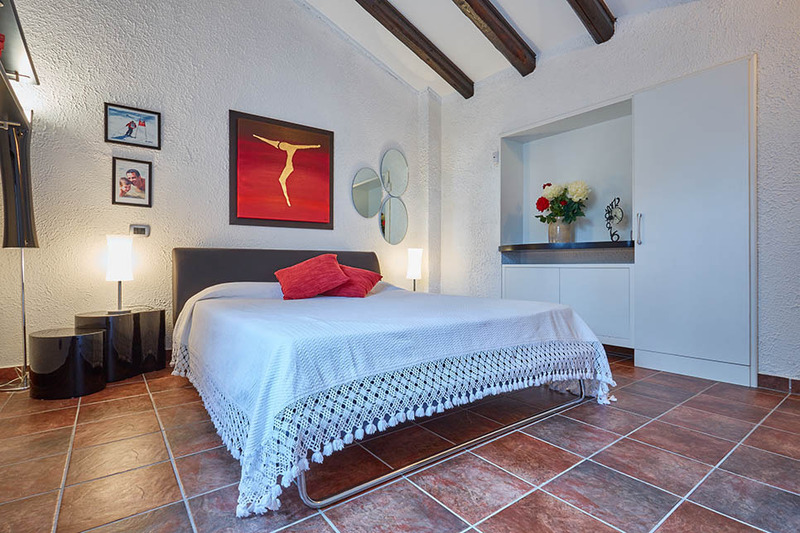 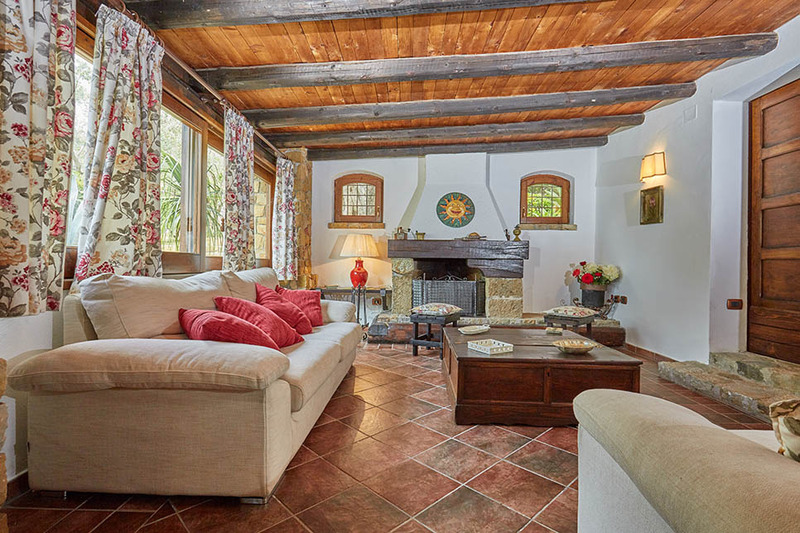 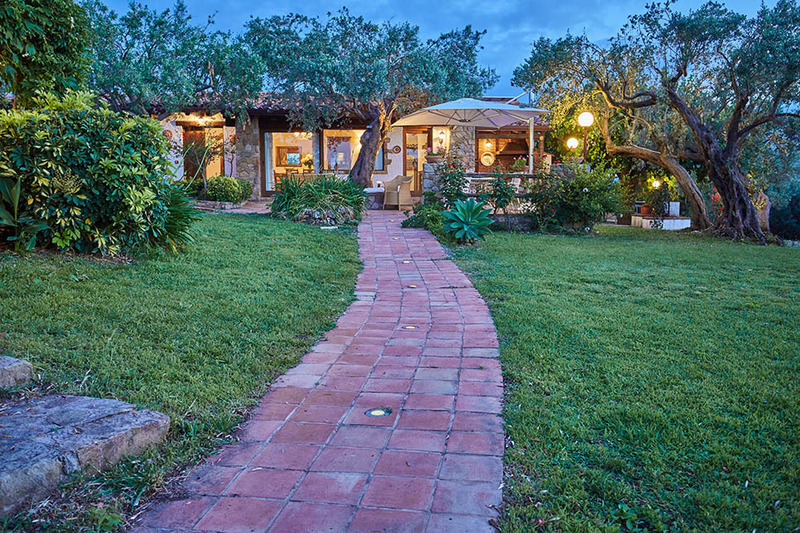 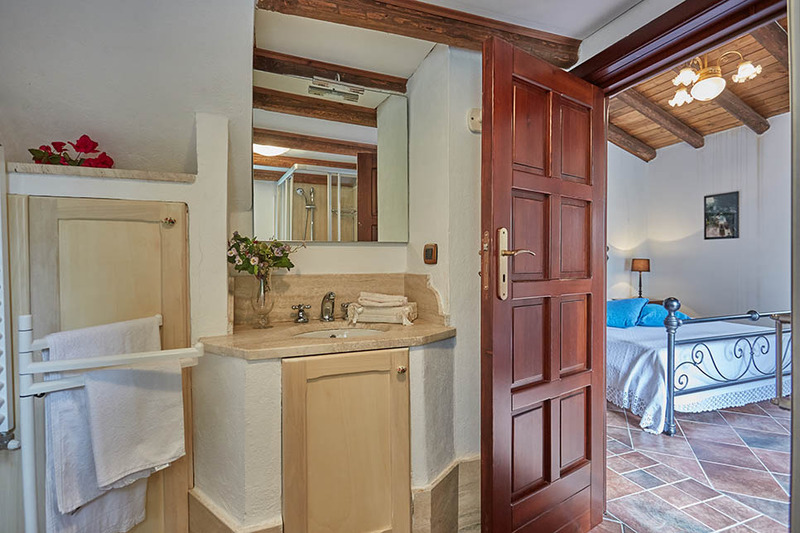 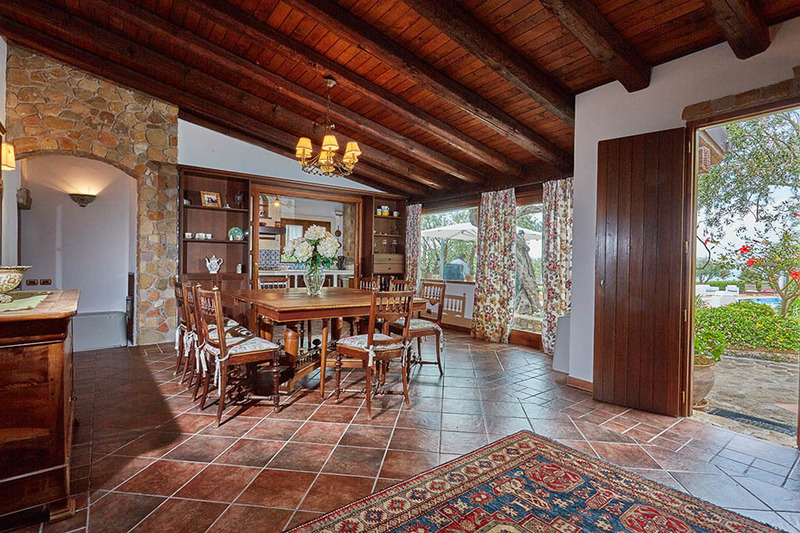 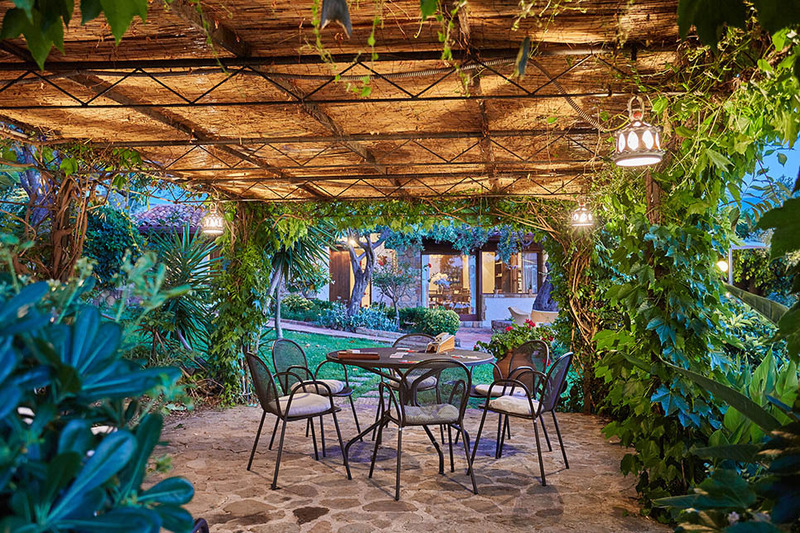 The villa is laid out on one floor with well-proportioned interiors that feature wooden beamed ceilings, terracotta floors and pretty floral print fabrics. 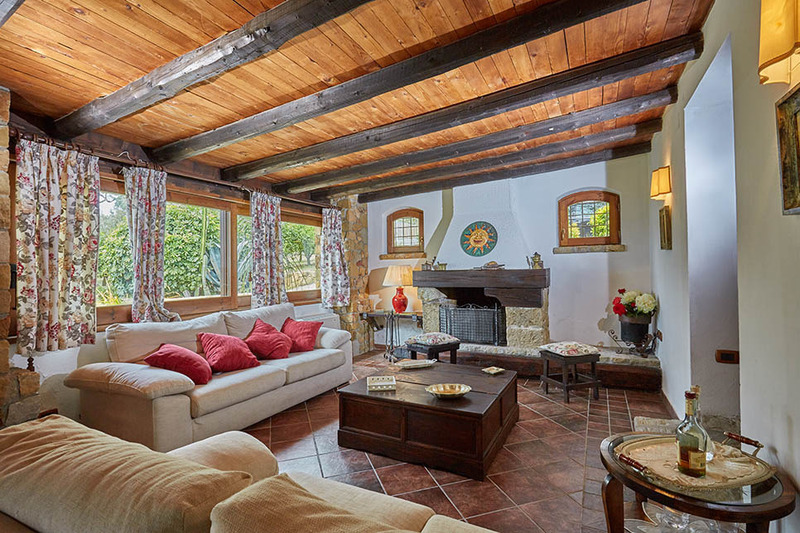 The main living room has several sofas and a fireplace; a dining room adjoins a smaller second living room (with dividing doors) which has a double sofa-bed available on request. 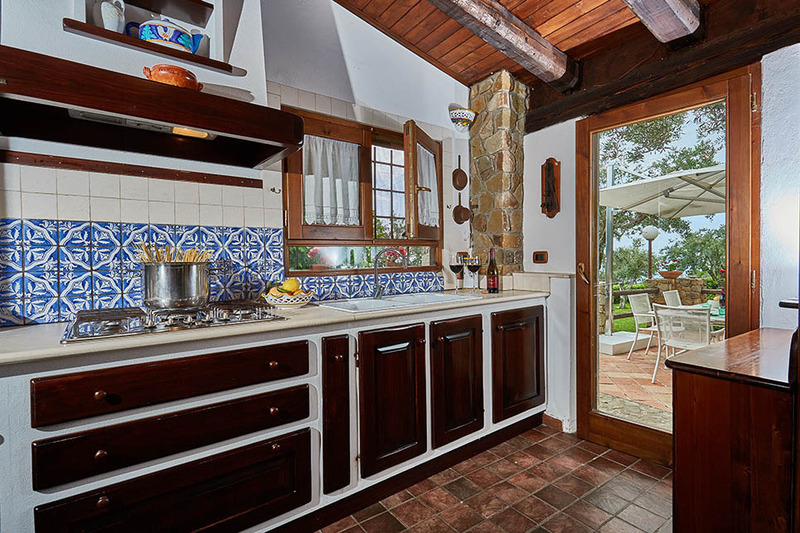 The kitchen is separated from the dining room by sliding glass-panelled doors and has an external door that leads out to the terrace. 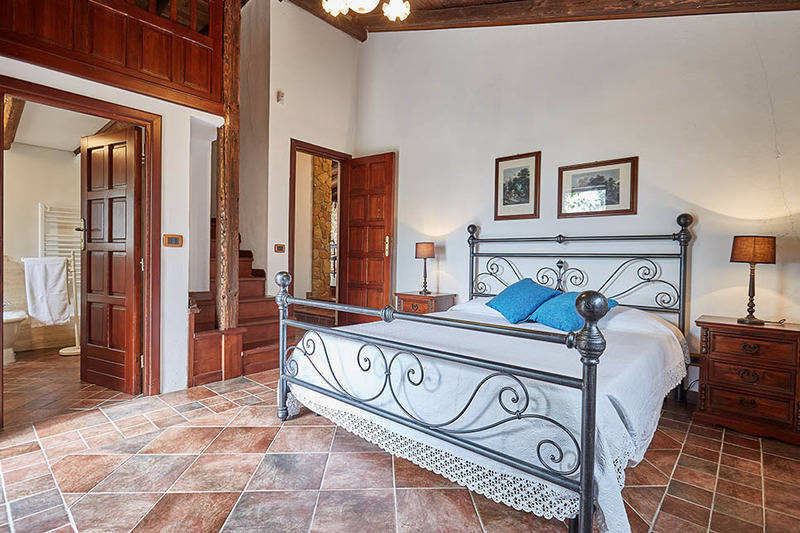 There are two double bedrooms, one with an ensuite bathroom (shower only) and a mezzanine level with a french bed for a child/teenager. 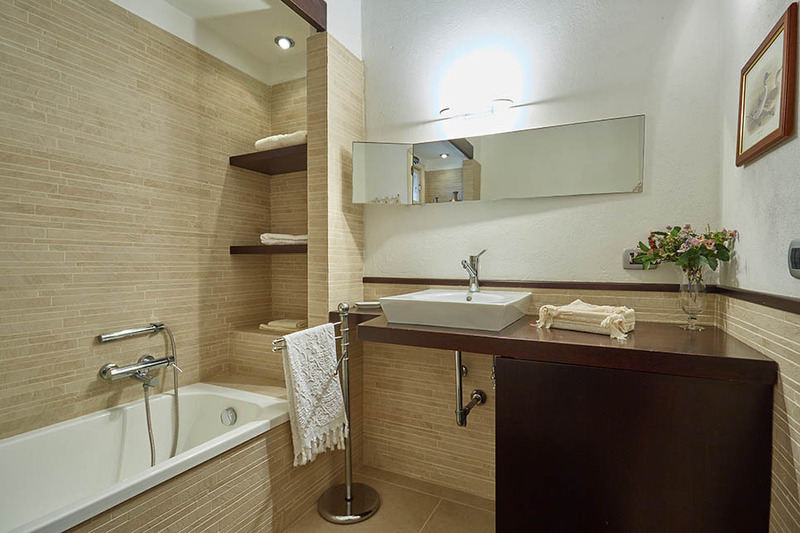 There is a second bathroom with bath and shower. 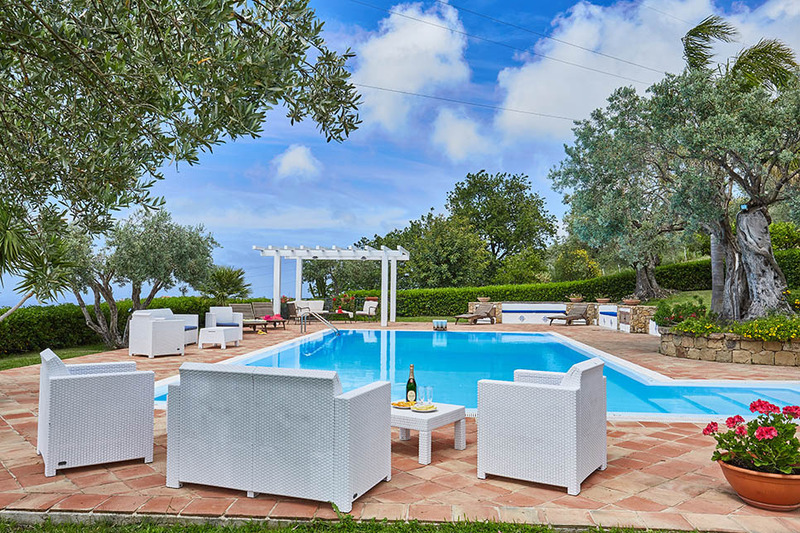 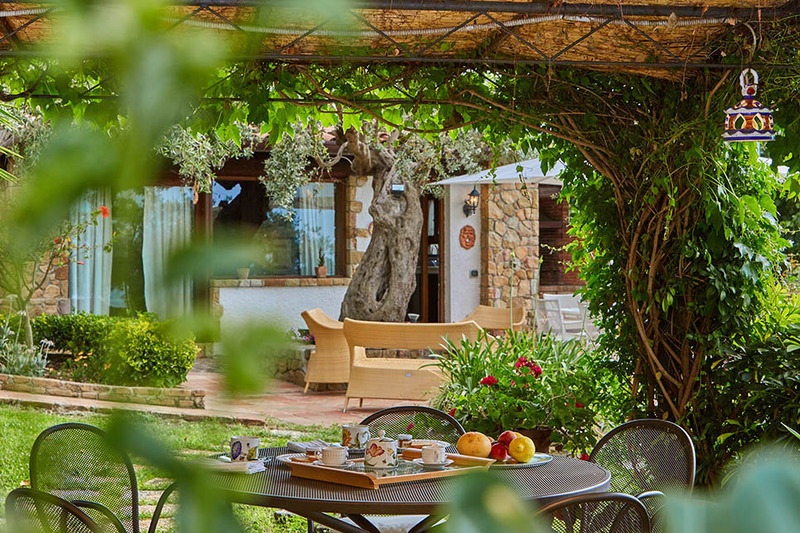 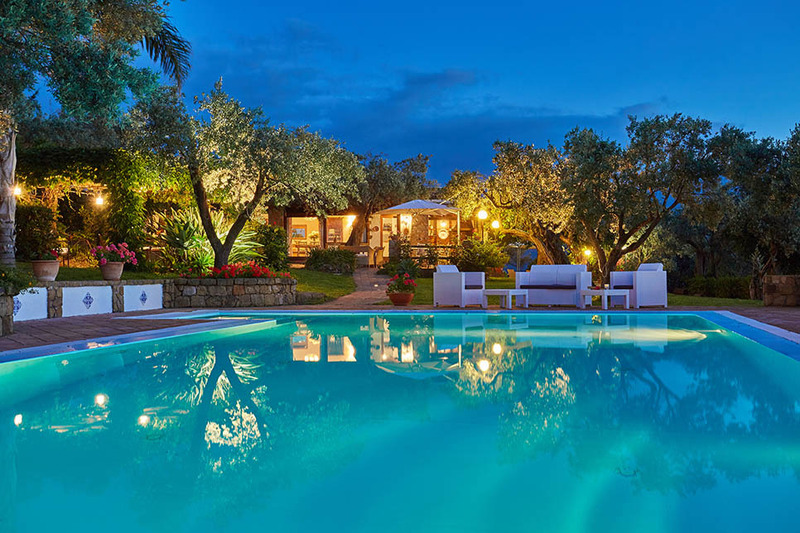 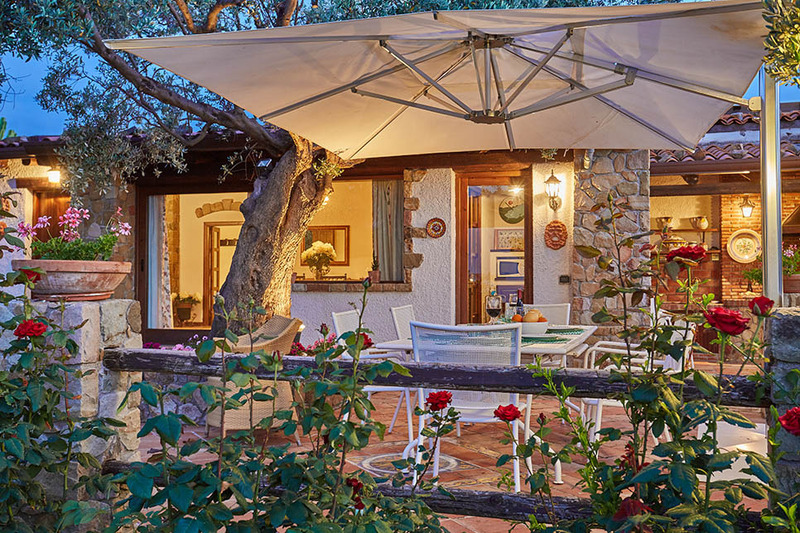 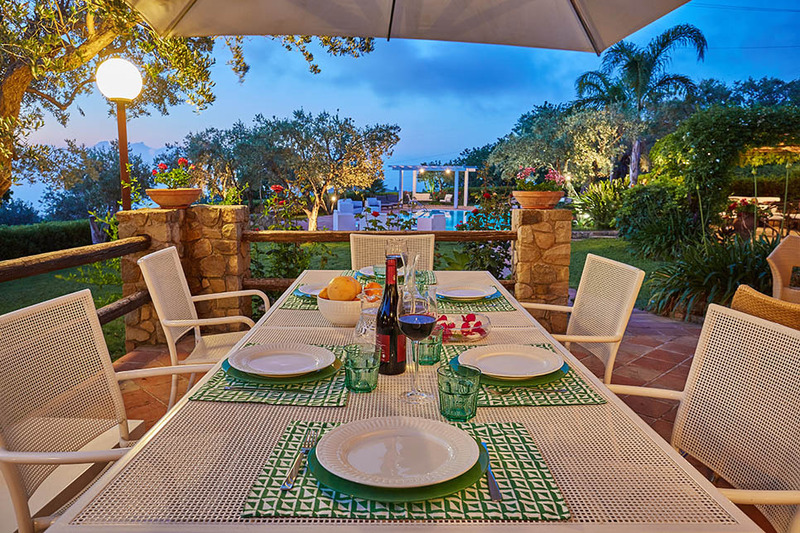 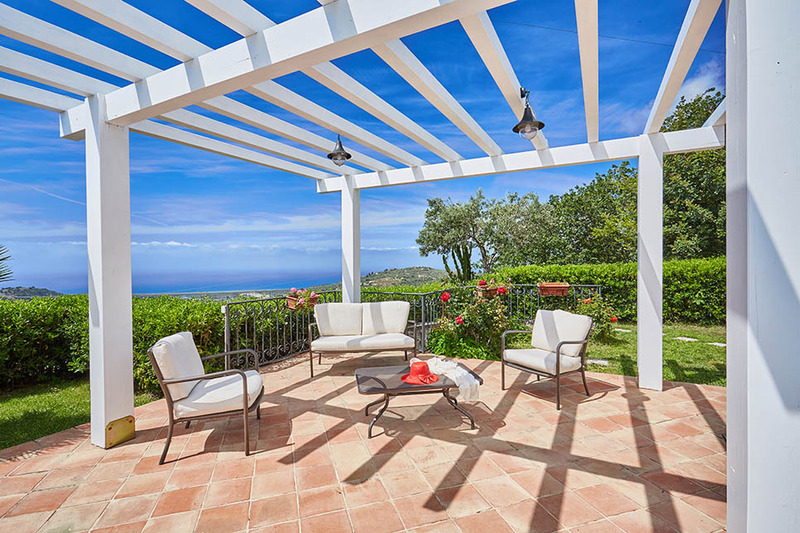 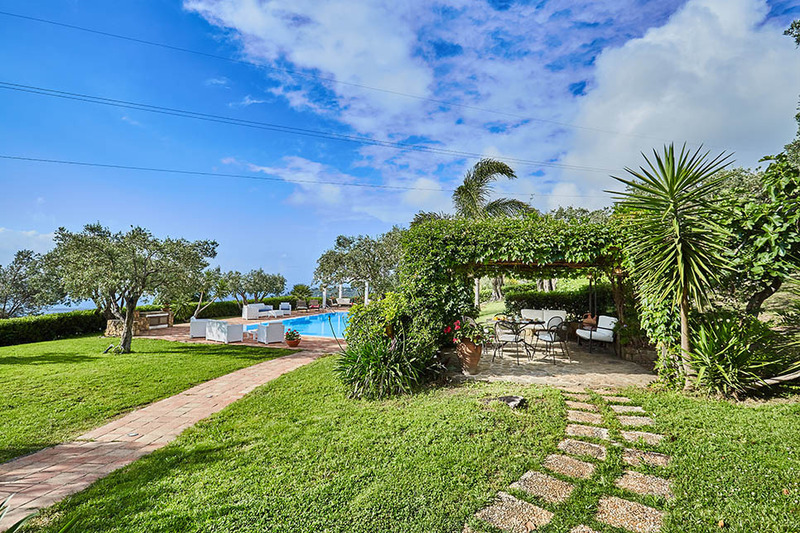 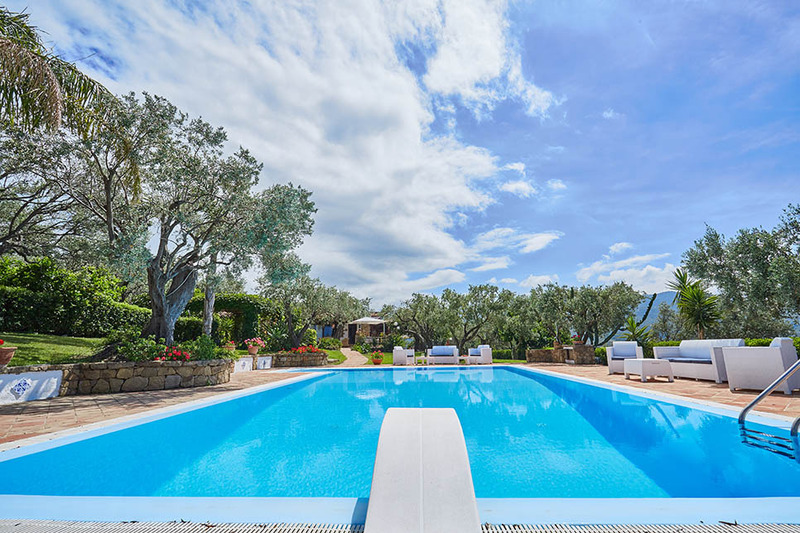 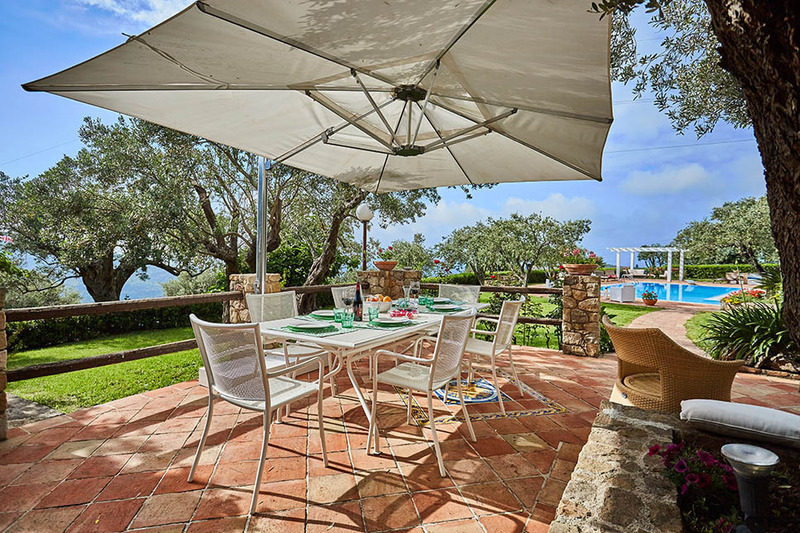 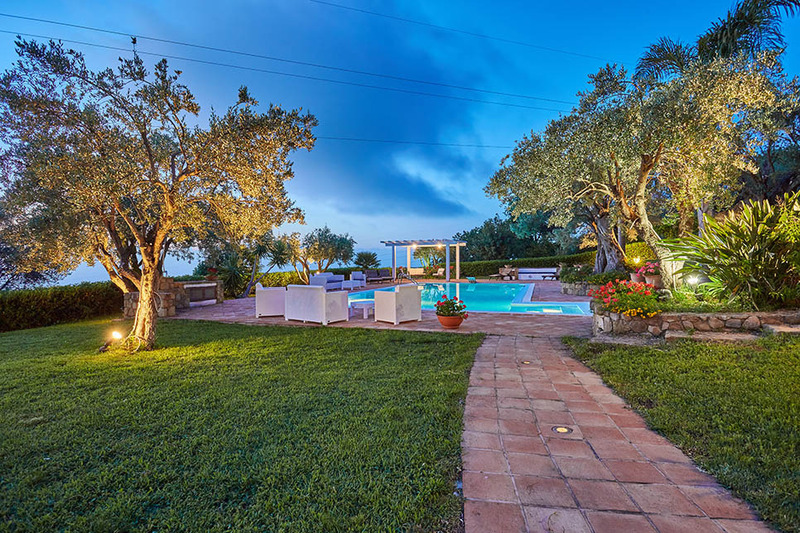 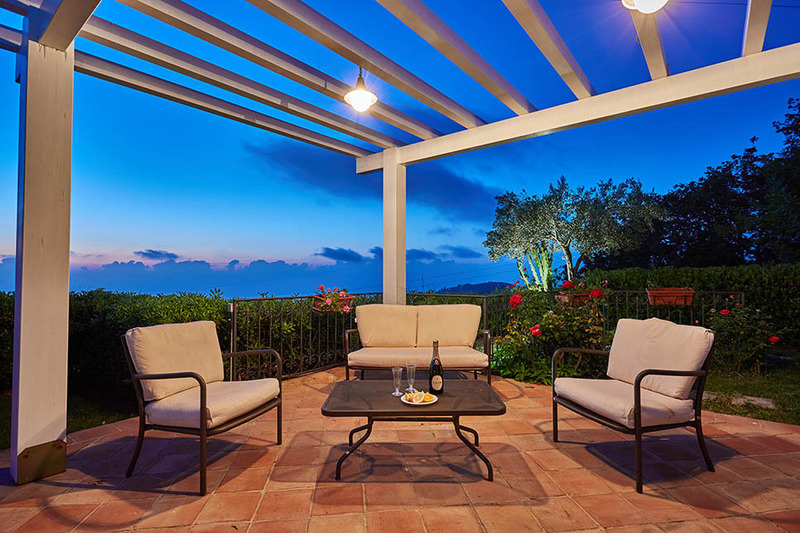 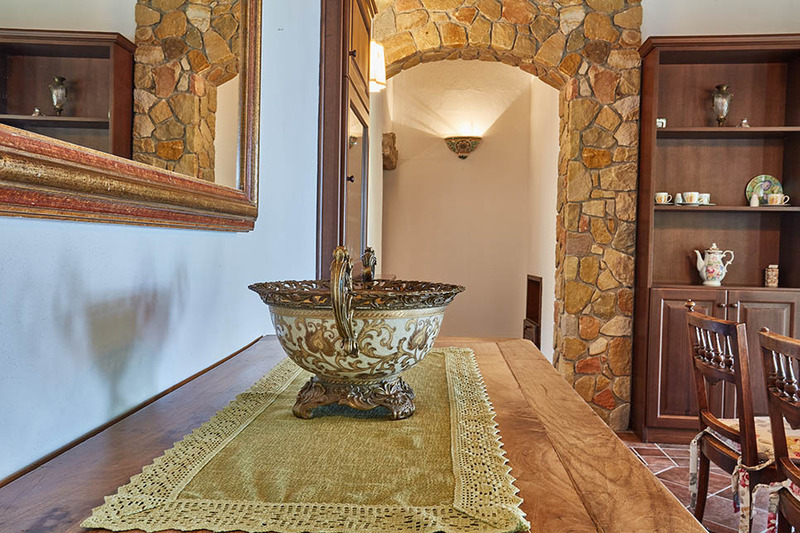 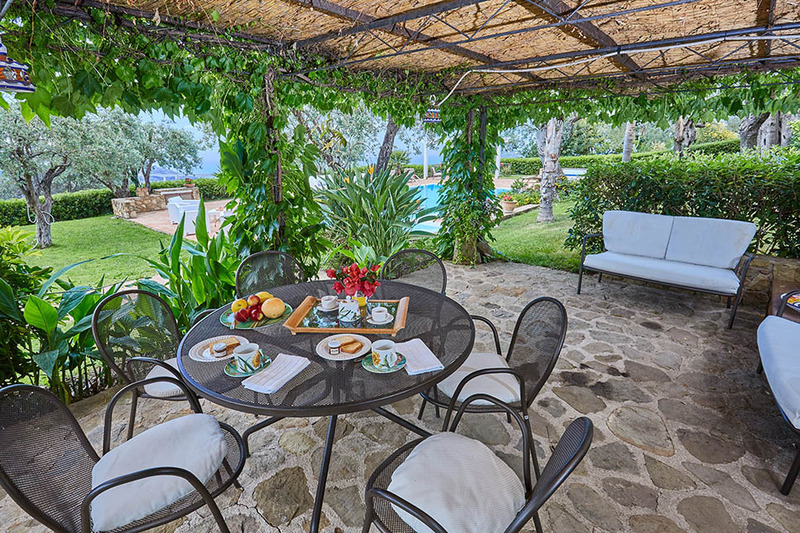 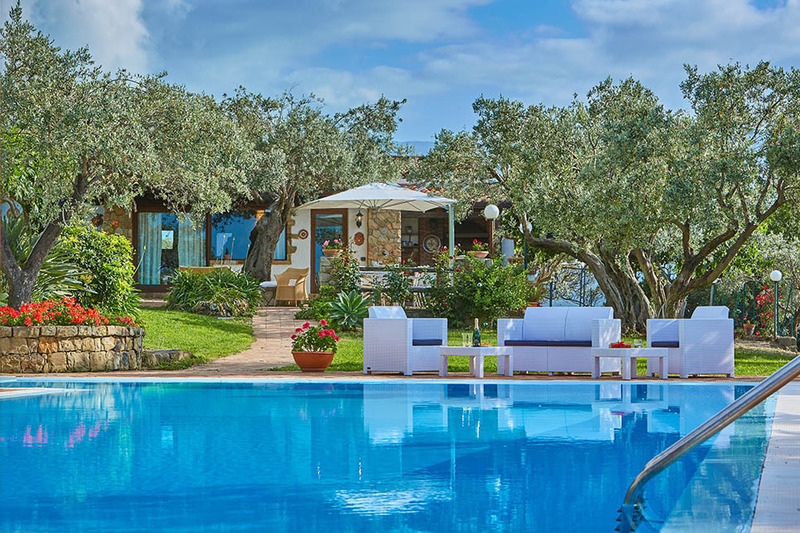 Situated on the north coast of Sicily, between Cefalù and Capo d’Orlando, the villa is around 3 km from the shops and restaurants at Acquedolci and just a little further from the beaches. 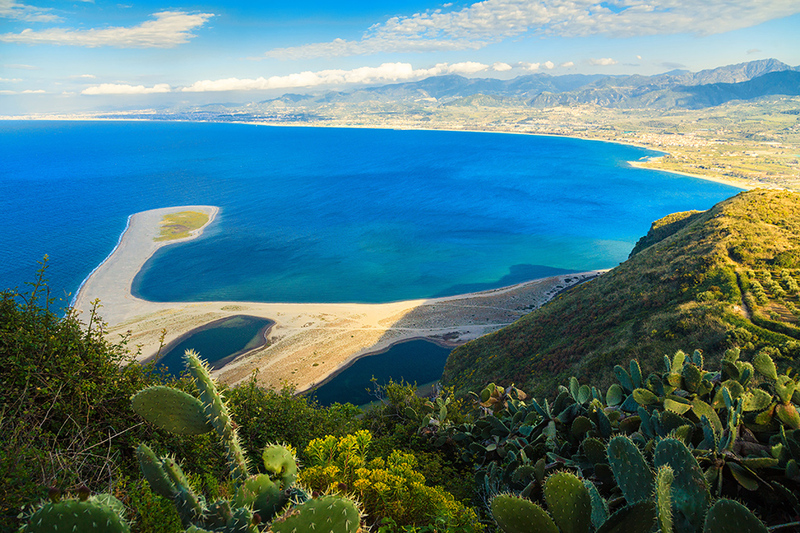 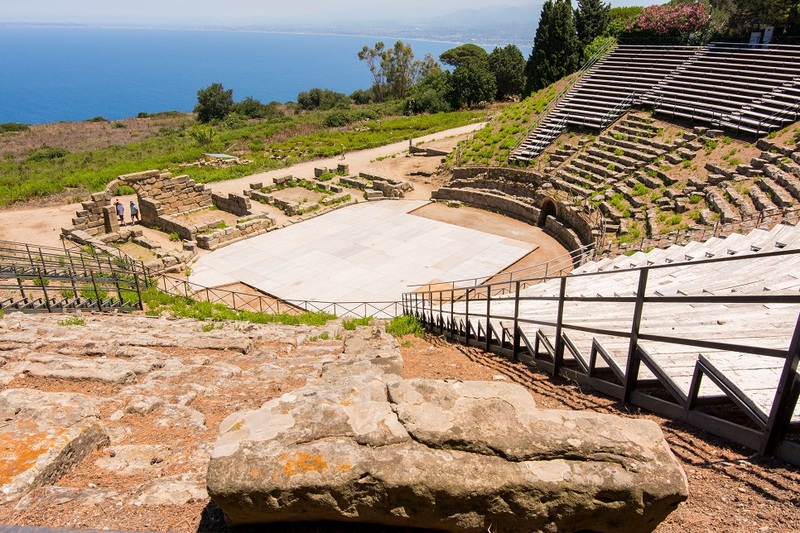 Close by, the Nebrodi Mountains provide some of Sicily’s most spectacular landscapes, popular with hikers and foodies (salami, cheese) but also very appealing if you enjoy exploring out-of-the-way villages. 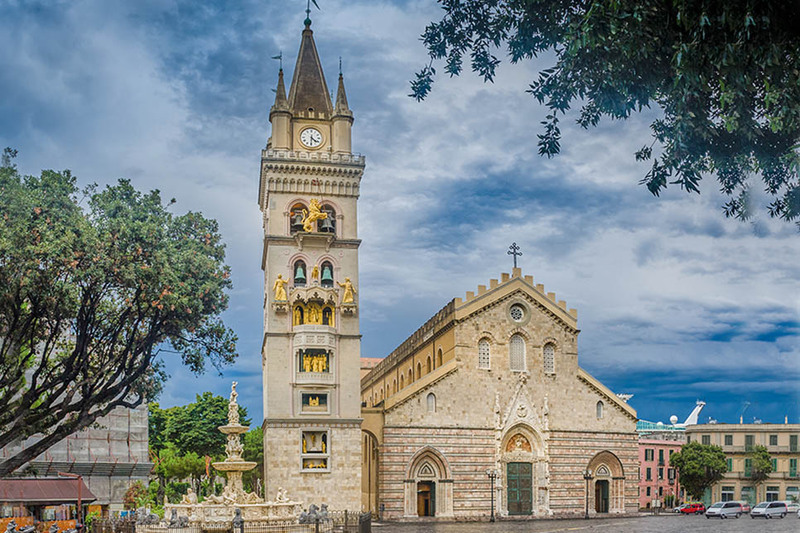 San Marco d’Annunzio and San Fratello are well worth visiting – San Fratello has a pretty 11th century Norman church, with cloisters. 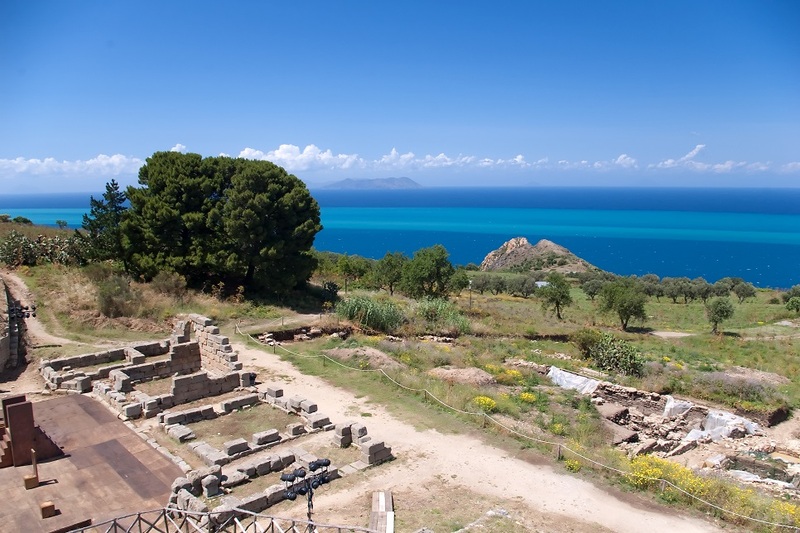 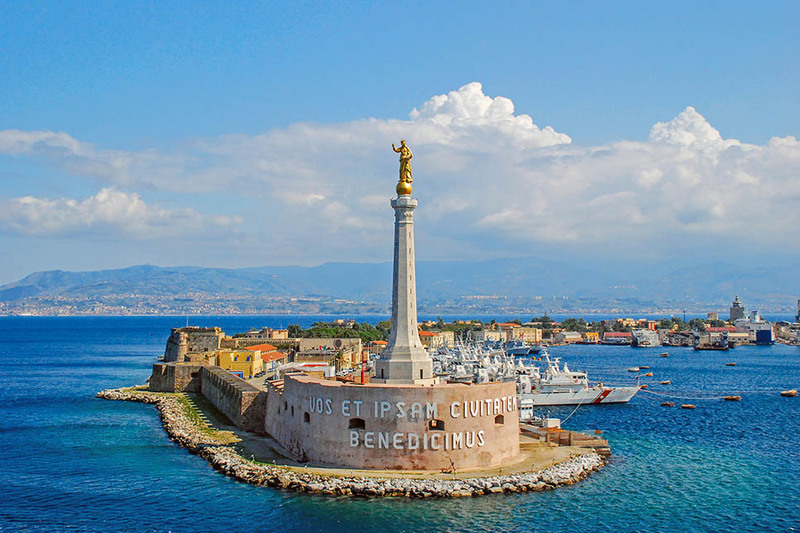 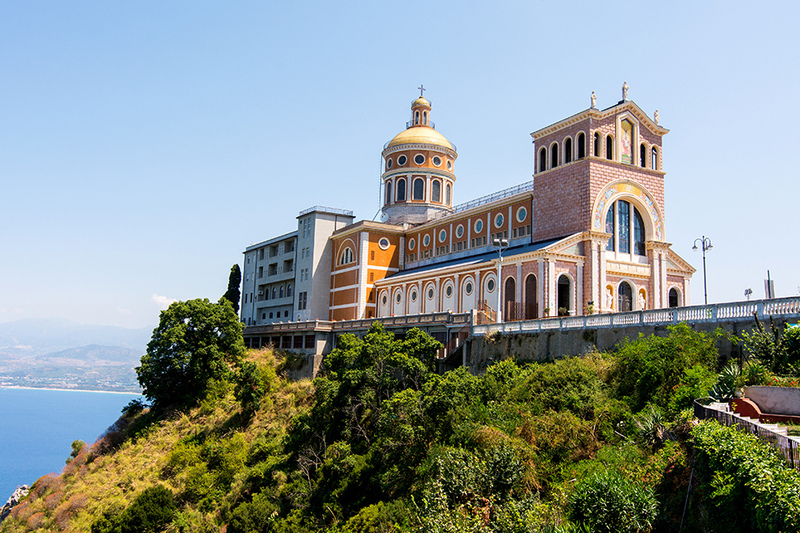 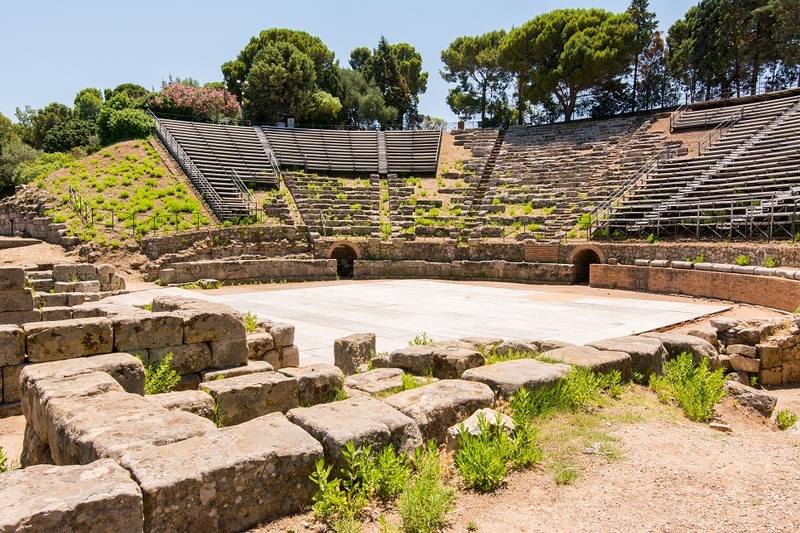 Other local towns include Santo Stefano di Camastra, renowned for its colourful ceramics, and Tindari, the site of a former Greek-Roman settlement and the Santuario di Tindari, built to house the much-revered Black Madonna. 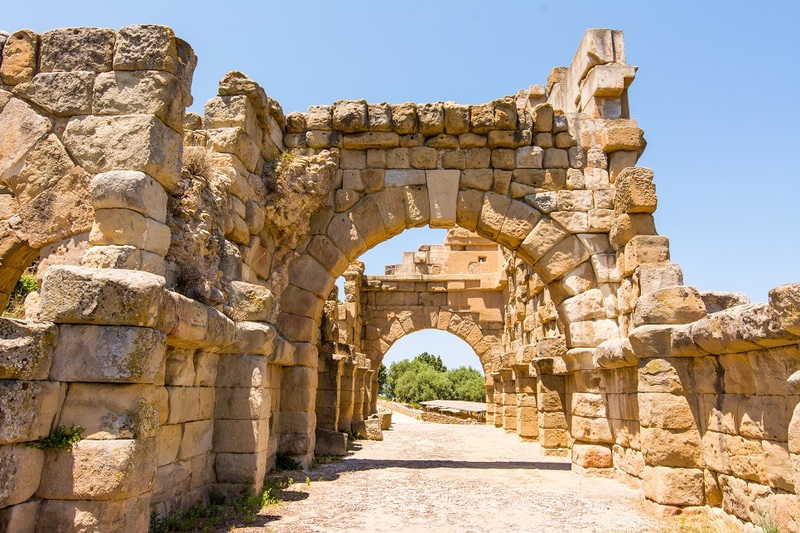 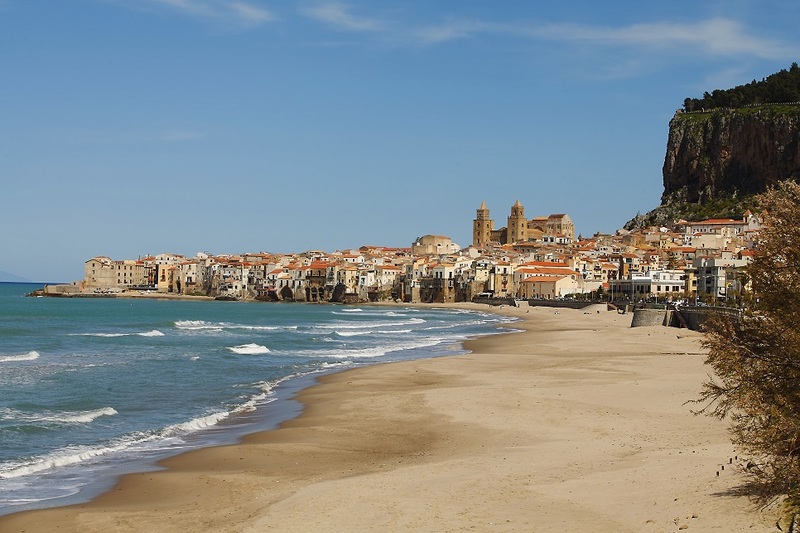 To the west of Acquedolci, the seaside resort of Cefalù offers an appealing mix of sandy beaches, a UNESCO world heritage site (Norman cathedral) and an attractive historic centre. 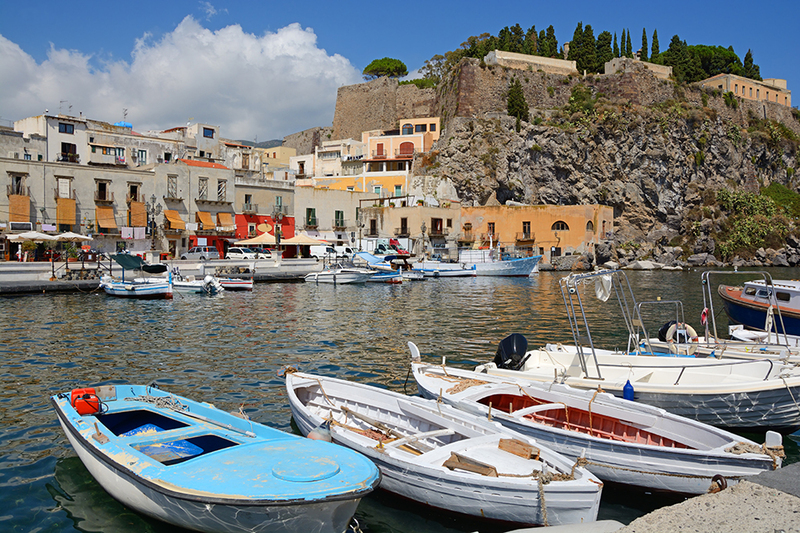 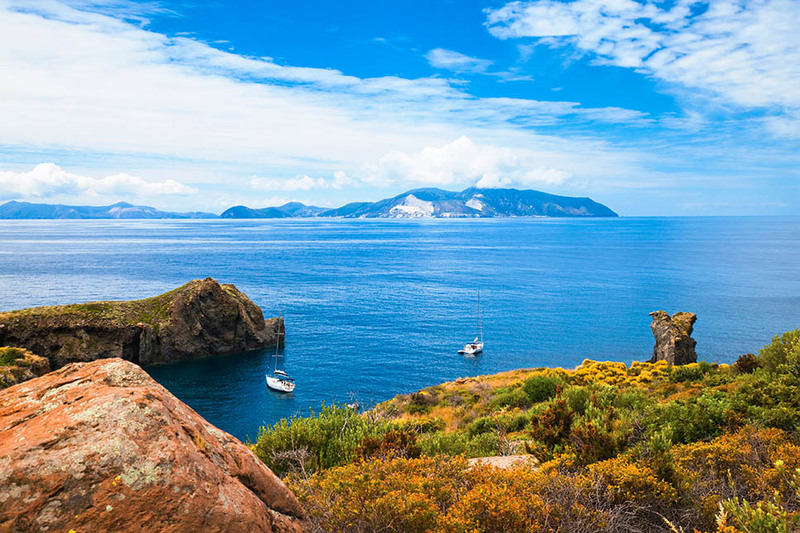 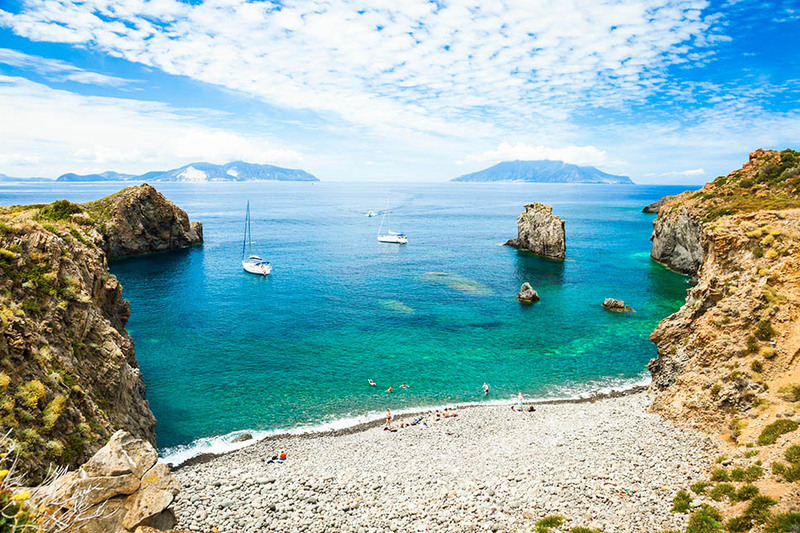 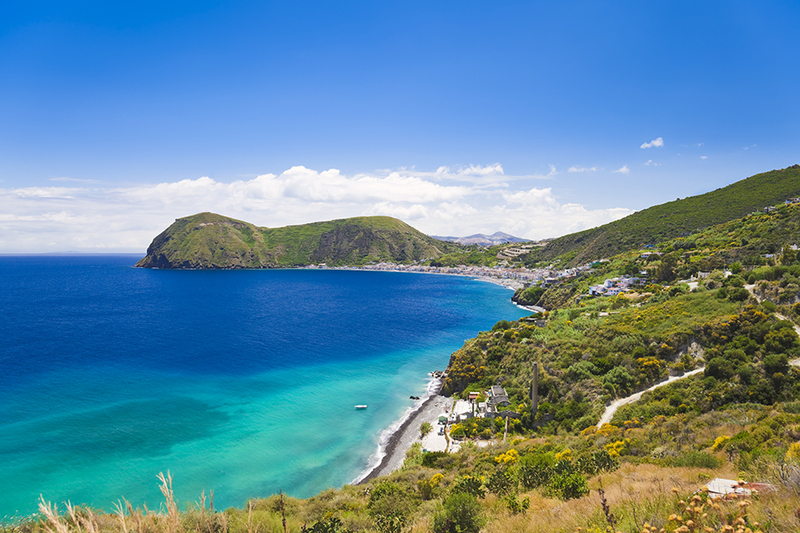 For a full day out, boat trips and snorkelling excursions depart from nearby Milazzo to the volcanic Aeolian Islands. 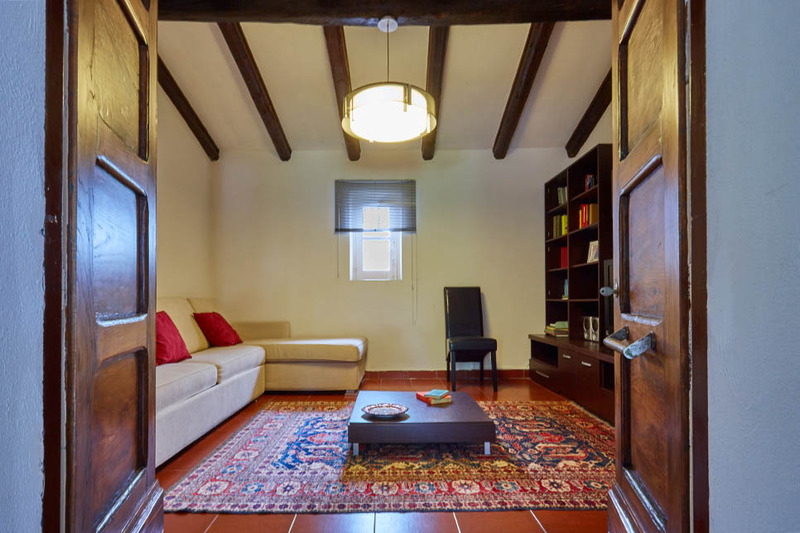 Refundable security deposit euro 500. 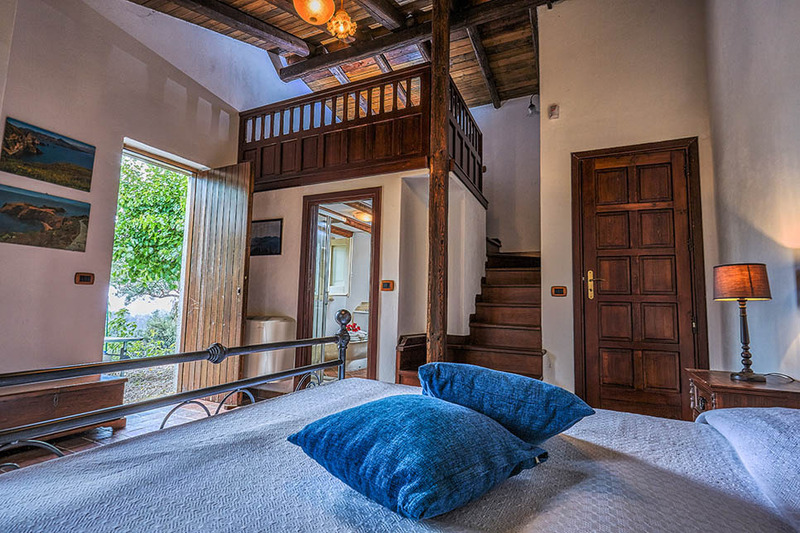 Extra double sofa-bed up to 7 guests free of charge. 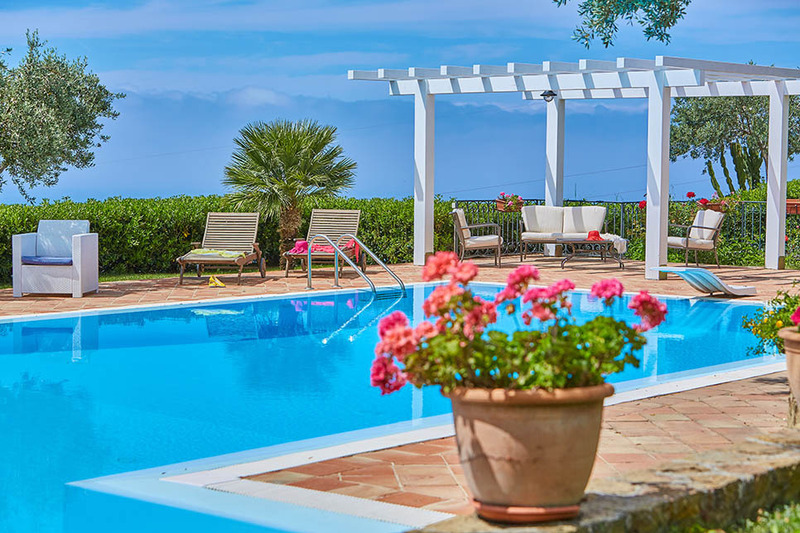 The pool is open to guests from April to October. 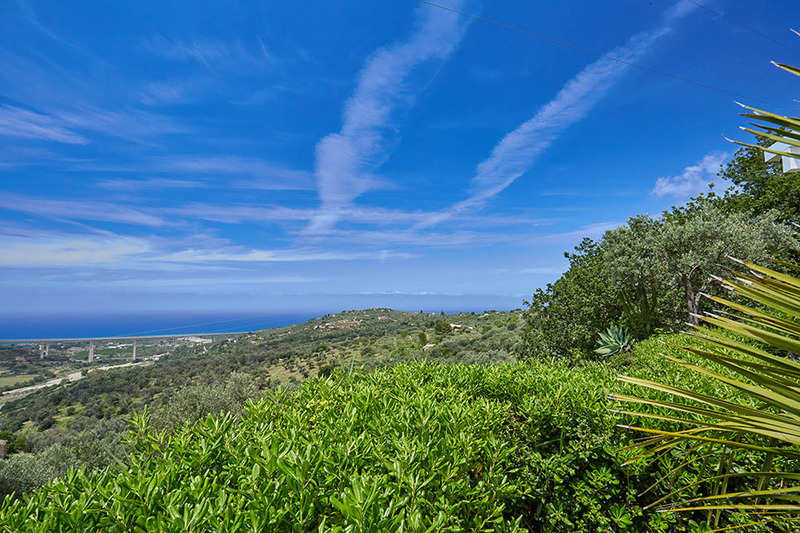 Property on “Partnership Listing” Pay the total amount now to Wish Sicily or choose to pay the deposit to Wish Sicily and the full balance to the host.